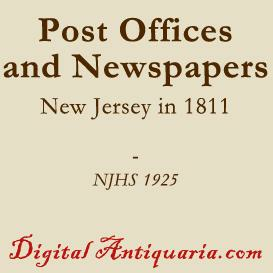 George Scot "of Pitlochie," Scotland, proposed a model government for East Jersey in 1685. 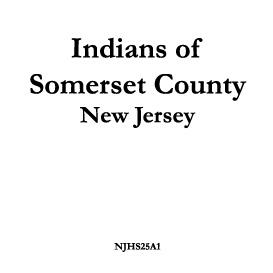 He came to the Colony with a crowd of prisoners, mostly banished Covenanters. 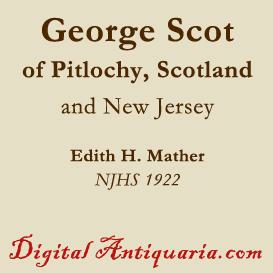 by Edith H. Mather | NJHS 1922 | 11pp | PDF 191K | $2.00 | D1 George Scot "of Pitlochie," Scotland, proposed a model government for East Jersey in 1685. 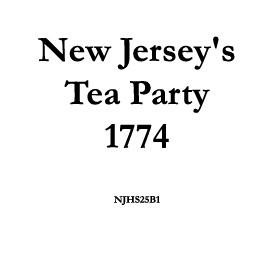 He came to the Colony with a crowd of prisoners, mostly banished Covenanters.